After Building Cleaning Residential & Commercial West Kilburn W10 | Quality Property Care Ltd.
Do not wait to get more detailed information about our reliable & top-notched after builders cleaning service! Contact our polite and understanding customer support representatives via this phone number: 020 3746 4287! Make a booking and deal with the grime without even sweating. The bath is rinsed, left shining and cleaned, if needed the shower recess is scrubbed clean, the glass and the shower fittings are cleaned, the basin and vanity scrubbed. The toilet, bidets and other WC parts are disinfected, cleaned, including their bases and behind them, mirrors are cleaned and polished if necessary. The floor is vacuumed and mopped to remove any residue and stains, the light switches are cleaned and fingerprints are wiped away. All fittings and tiles are left shining and cleaned, and the waste bin is cleaned and left shining, door frames are not left unattended, they are also cleaned from top to bottom. Vetted after builders cleaners in West Kilburn W10: leave them the keys and they will do the purge! All furniture and picture frames dusted, mirrors and glass tables cleaned. We again pay attention to the smaller things like fingerprints on light switches and door frames, with professional window sill cleaning. 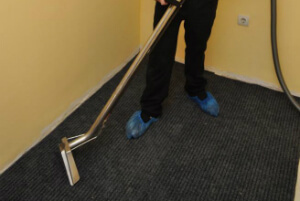 All of the carpets in the property are vacuumed, including under the bed if possible, for not carpeted floors we have a mop for a clean finish. Marks on walls are removed upon request, just like skirting boars and cobwebs wiped down. After we are done we leave all rooms tidy and clean, if you request we can also clean your blinds. Once your request is processed (which should be very fast), you will receive a written booking confirmation. Booking the after builders cleaning service offered by Quality Property Care Ltd. is straightforward, fast and requires no deposit. Call 020 3746 4287 and our customer care on operator or send an online booking request. Combined bookings and regular customers get special prices and big discounts. The booking is per hour, so it is up to you and to the condition of your property how many hours you book. Various payment methods are accepted.